I love how some of my favorite bloggers such as Hungry Runner Girl and The Girl Who Ran Everywhere share some of their recent pictures! I always look forward to their posts because who doesn’t like seeing some happy tidbits of someone’s day? So, here is my first Sunday (Photo) Sharing – a look back at my week from D.C. to N.H.! Tuesday – Adventuring in D.C.! 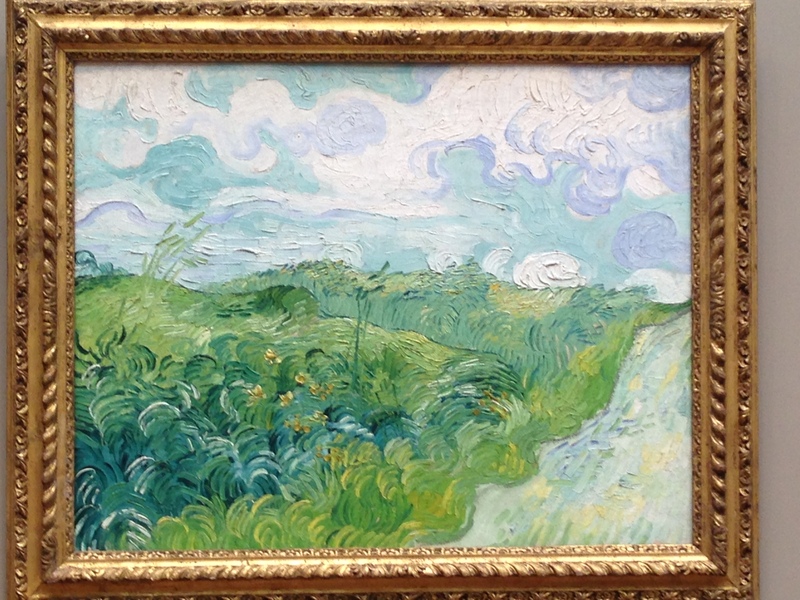 National Gallery of Art – an amazing (recently acquired) Van Gogh! How can you not love this view? Saturday Shopping – what would you do for all these KIND bars? Yes, my cat is evil. Yes, I still love her 19 years later. I think I can easily say that I have figured out how to use wordpress SO much better these last few days – I didn’t have to email myself these pictures, and I have finally figured out links! I’m making strides towards being “good enough” to self-host! What’s your favorite kind of cupcake? Simple chocolate with vanilla frosting – sprinkles optional!